Western Warehousing is in service! 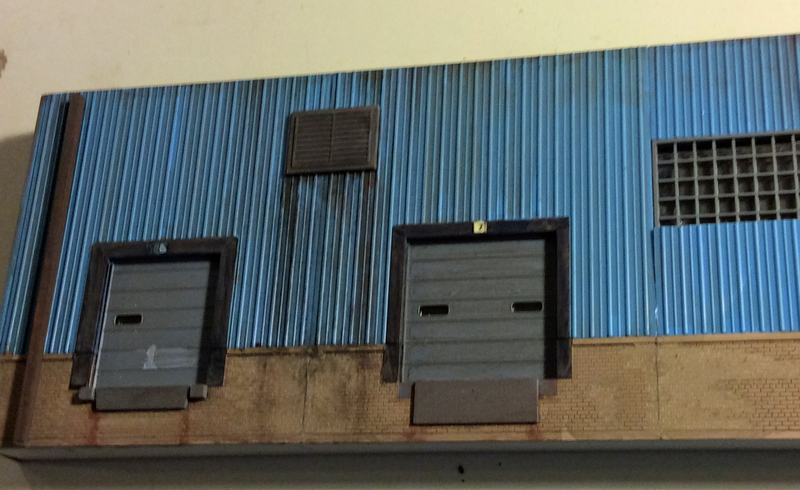 In this post, I’ll share a little on weathering and signage. The weathering was easy. I brushed it with an alcohol wash with a few drops of Floquil Grimy Black and Roof Brown. I occasionally would pick up a little black or rust powering dust (A.I.M.). I occasionally went heavy to create a few streaks, particularly under the vents. I attempted to seal seams in the bricks with plastic wood with mixed results. Some cracks still show. I weathered the downspouts with a wash of Vallejo Game Effects Dry Rust (72-136). This is a versatile product to have on hand. With a little practice, the wash approach gives great results. For the signs, I created them in Powerpoint and them printed them on photographic paper. The key is to cut them carefully with a straight edge and then color the edges a dark color with a marker. A white border is a giveaway. I purposely put door numbers only above two doors so I could get a white marker and “paint” numbers on two of the door surfaces. 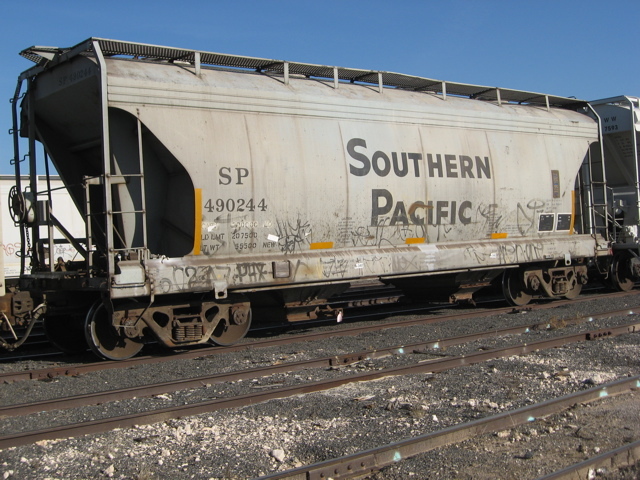 That is pretty common on rail-served warehouses. All in all, I’m pleased with the results. There are a few flaws, but given my limited modelling time, I think it will work well. This post shares what Fort Stockton looks like today, actually this month (June 2016). 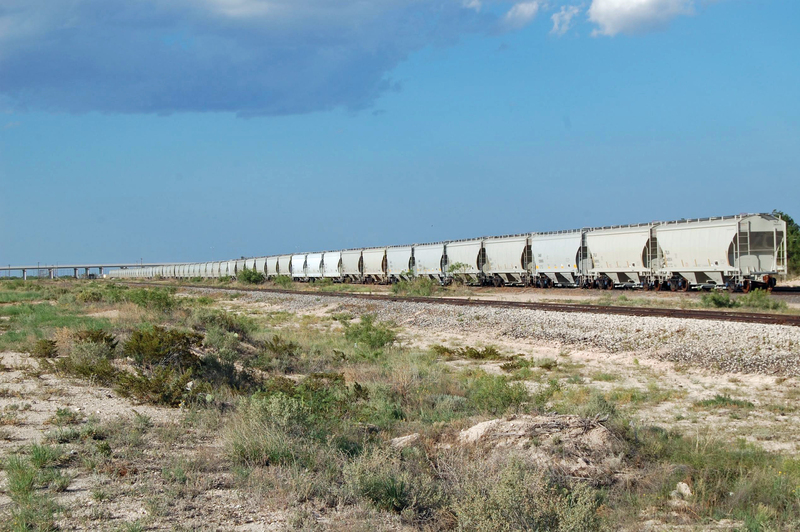 The Texas Pacifico has had a boom in business largely related to oilfield traffic (much of which is frac sand). 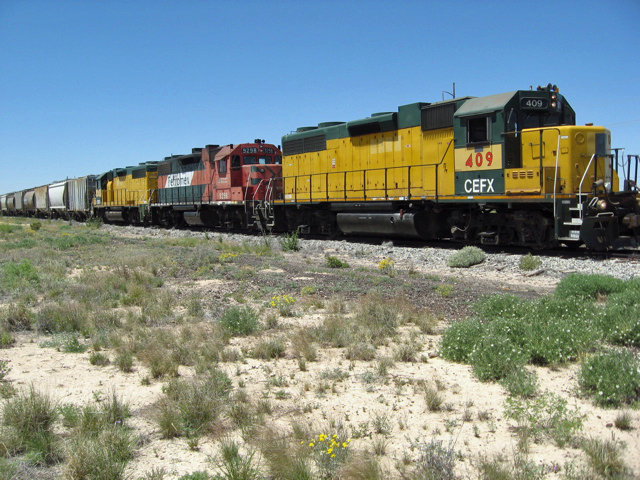 Up until a few years ago, the TP mostly used ex-CNW and ex-UP patched locomotives and their sand business in Fort Stockton and other towns along the line, brought in covered hoppers of sand that offered a colorful array of road names and paint schemes. Gone are the patches and colorful billboard schemes. 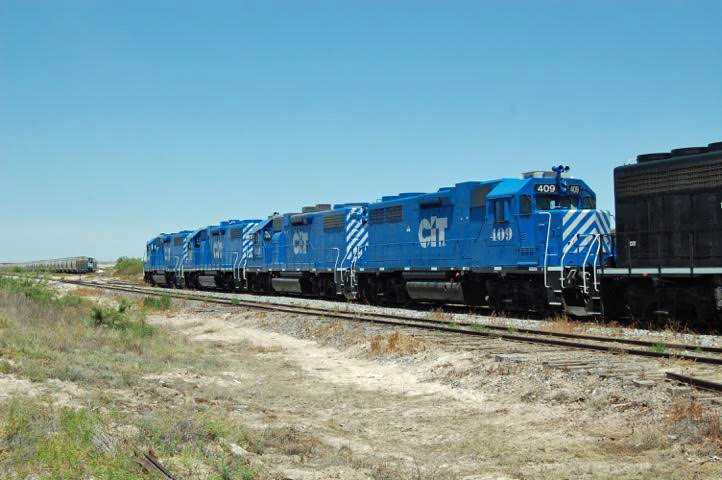 This is 2016 industrial, prosperous railroading! Not as interesting, but perhaps indicative of better profits. Signing off from Fort Stockton. Happy trails! Glacial progress continues on the Rails West layout! 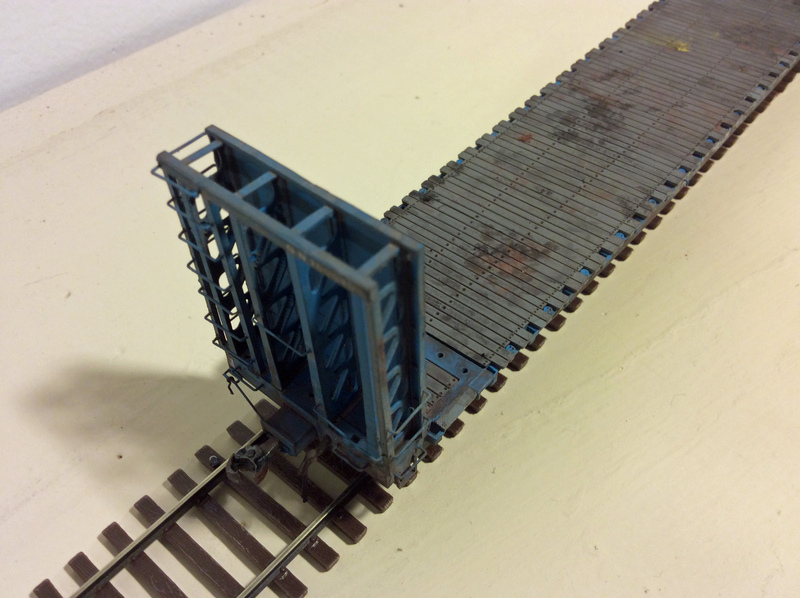 The first structure has appeared on the layout. Rails West trains are actually servicing a real business. 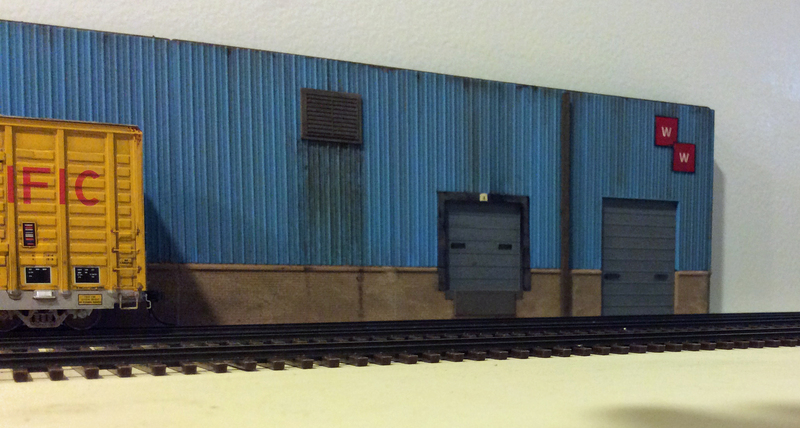 Here is Western Warehousing on the layout. I like to have a story behind my businesses. It makes the businesses more real. 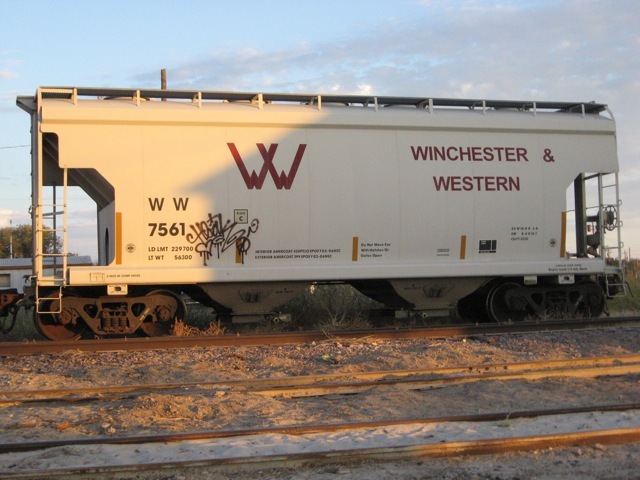 Western Warehousing was built in the early 1970s by Western Producers Association (WPA). It was originally designed to serve area agricultural producers. 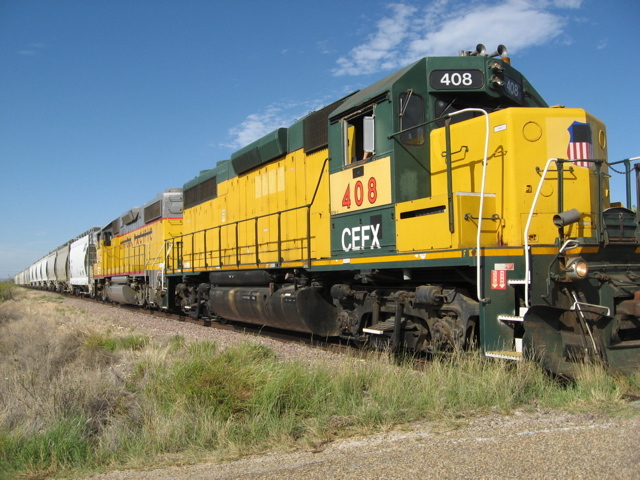 It was relatively large and could handle a wide range of supplies needed for the area ranchers and farmers. Much cotton, alfalfa, maize and wheat is grown in the area. There is some fruit, mohair and wool production as well. The warehouse was designed to also ship commodities as needed. Unfortunately, the warehouse was only in operation three years. It was no longer needed when the WPA merged with Farmers Co-op. Farmers C0-op already had two other facilities in the region. The warehouse sat vacant until Ford Motor Company worked with Western Warehousing to establish a distribution facility to serve the region to distribute auto and tractor parts and other automotive supplies. In 1977, Western Warehousing acquired the structure to handle this business in Mineral Wells along with tires from Uniroyal and Goodrich. In 1978, the Mineral Wells facility was opened and has been a successful distributor to dealers for a large region. 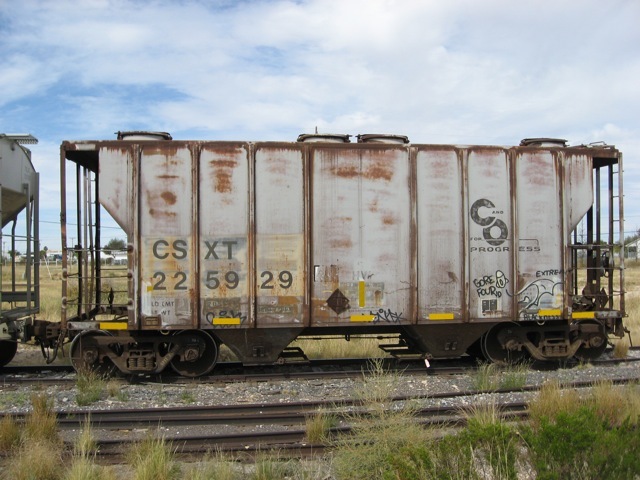 Large boxcars arrive frequently to keep the warehouse stocked. Jimmy Hines is the shipping boss. He always has a new joke for the Rails West crew. 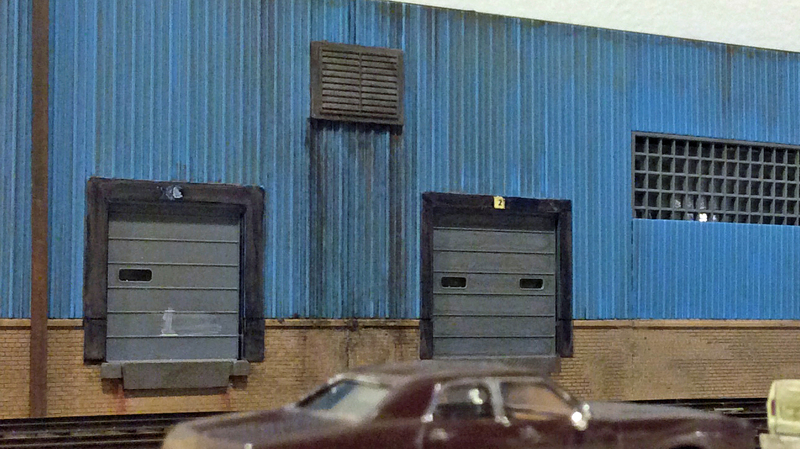 I started with two fine Walthers kits — Lauston Shipping Thin Profile Background Building and Bud’s Trucking Company Background Building. I played with them for a while, literally a couple of weeks off and on, to the get the feel of the structure I wanted. I started with this design, but I ultimately found it not as interesting as I wanted. I eventually settled on this design. A structure this long needs some reinforcement. I finally got it ready to weather. I had to shorten the width of the building. The original width was too wide. It would not have fit the layout. As a result, I had to short the walls and ceiling and bottom piece. I had to fabricate the bottom piece and the roof from styrene. Backside showing fabricated bottom and roof. In part two, I’ll show you how I weathered it and installed signs. 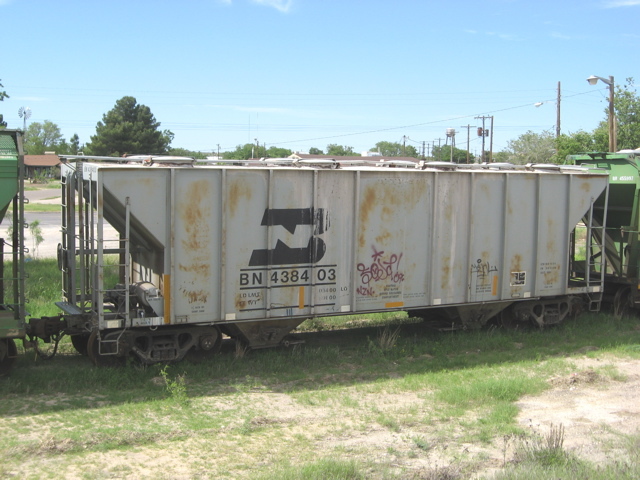 This two-part series will share what Fort Stockton looks like today, actually this month, (June 2016) and what it looked like in the recent past. The Texas Pacifico has had a boom in business largely related to oilfield traffic (much of which is frack sand). 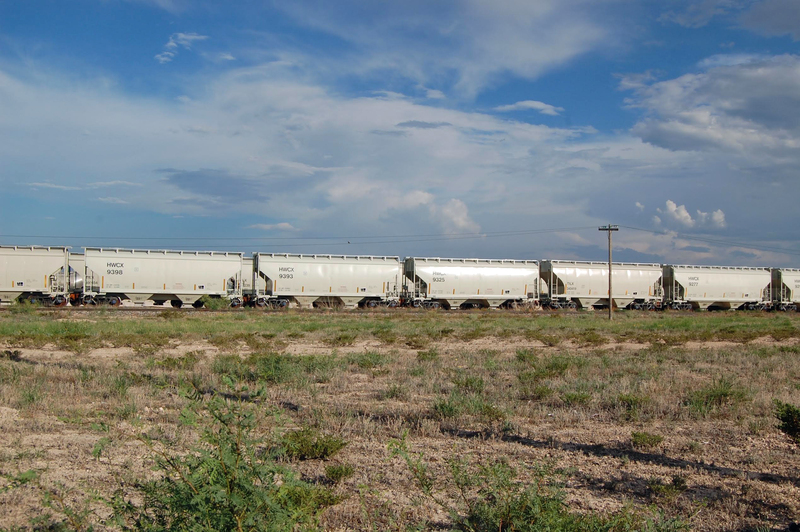 Up until a few years ago, the TP mostly used ex-CNW and ex-UP patched locomotives and the sand businesses in Fort Stockton and other towns along the line, brought in covered hoppers of sand that offered a colorful array of road names and paint schemes. In part two of this series will share what Fort Stockton looks like today. The difference is kind of stunning. 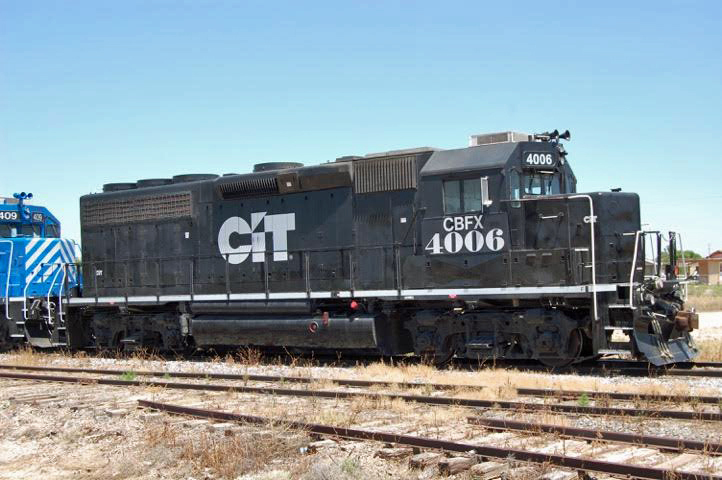 I love flatcars. 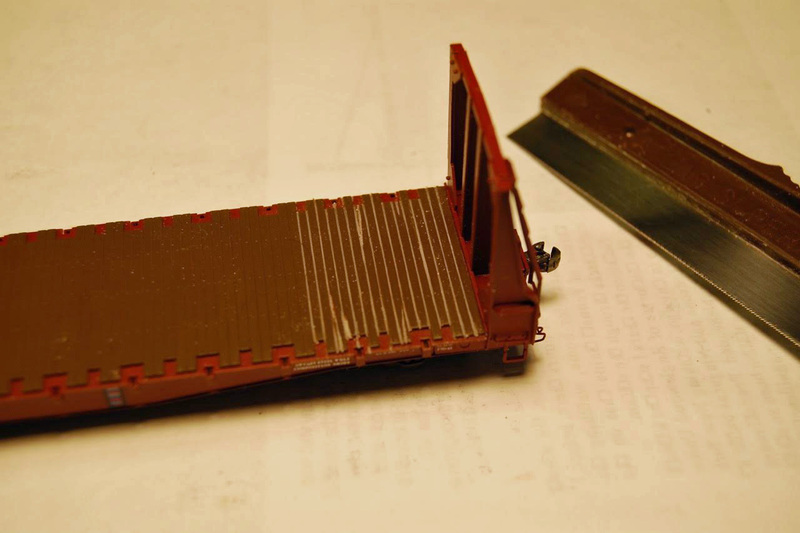 However, getting the deck right is critical to having a realistic looking model. 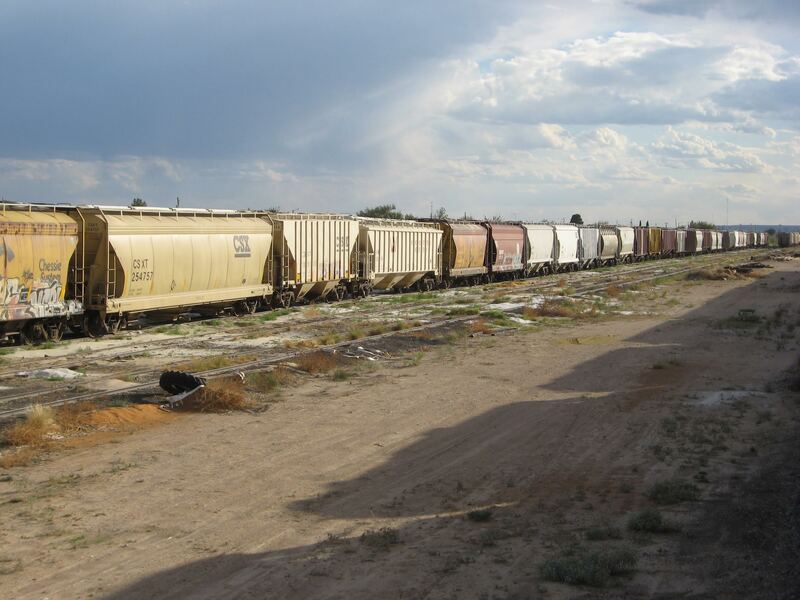 Flatcars are great because you can show that your railroad really hauls things, it really creates revenue. However, when they are empty, a poorly weathered deck rings hollow. 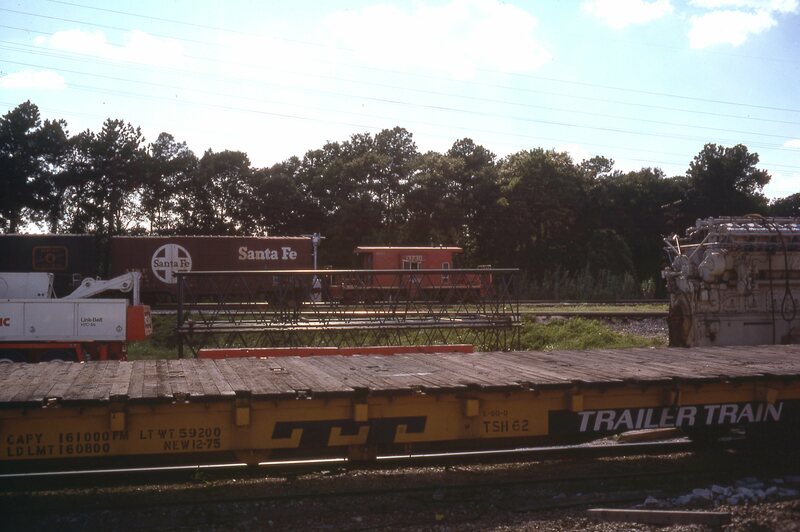 Unlike the ICG flat pictured above which was fairly new in 1981, this GN flat needed to show some age since it was about 12 years old in 1981, the era of the Rails West layout. I’ve been weathering some flat cars recently. 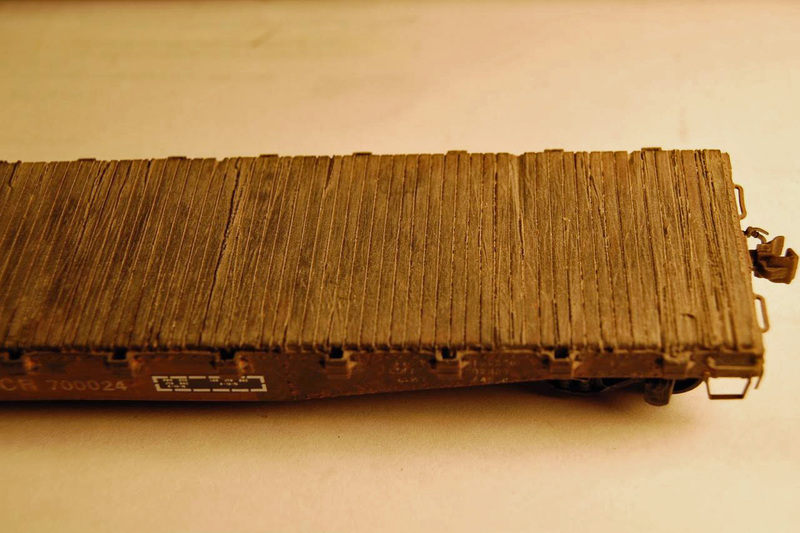 The decks of most model railroad flat cars are plastic and much too uniform and unblemished in my mind. 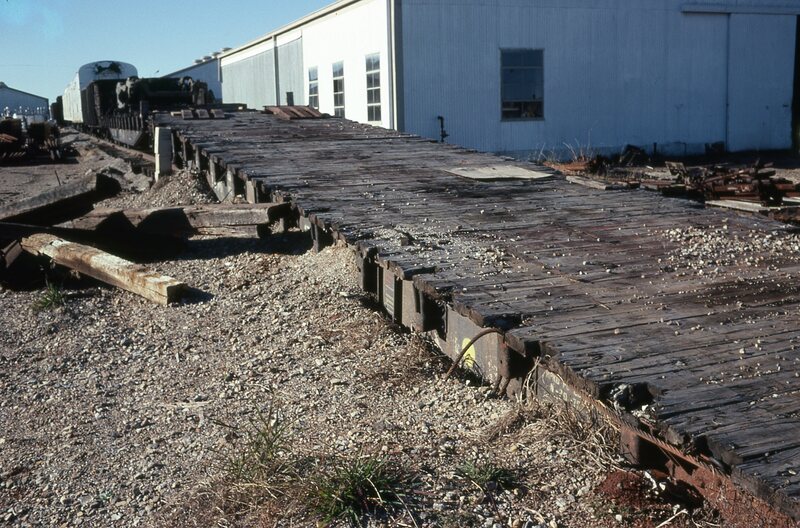 Many real world flat car decks are wood boards that crack, warp, shrink, get broken, nailed into and just all around take a beating. So I attempt to roughen up my model plastic decks. I begin with a razor saw and cut along each joint in the deck, attempting to make one big piece of plastic look like individual boards. If the saw occasionally strays from the groove all the better to simulate split and cracked boards. 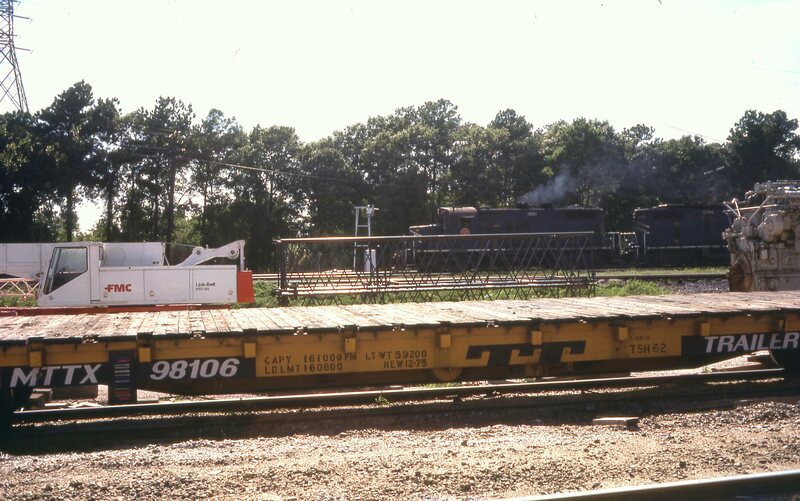 Wheels of Time flat car being weathered by B. Smith for his LCn RR set in 1990. I try to cut down at the ends to make it appear the boards are separate, but without cutting too deep as to get into the “steel sides” of the deck. I then scrape the saw teeth across the deck to try and give the plastic boards some grain. I’ve also use coarse sandpaper, files, and knives to batter up the plastic. It takes some time, but the end result is a much more realistic “wood” deck. The color of wood decks varies from dull black to grey to natural wood. 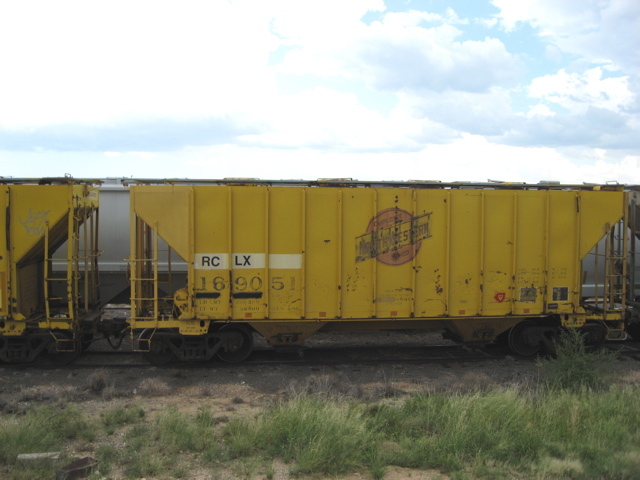 Some railroads even painted the wood decks of their flat cars the same color as the car, in the case of UP, bright yellow! 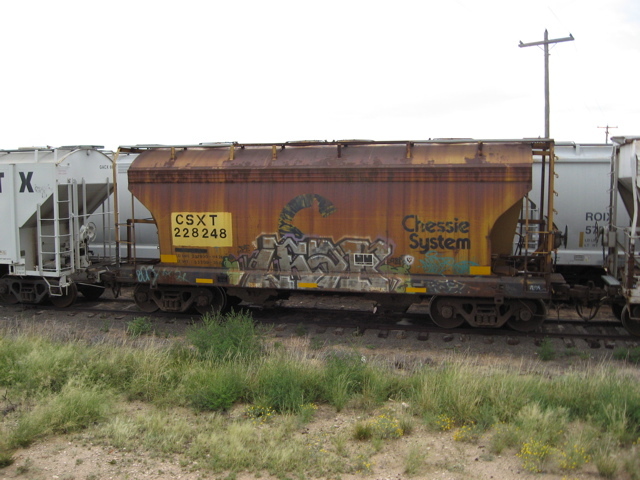 On box car red cars I find a wash of flat black paint thinned with alcohol works. On the BN car below a mixture of dull black and roof brown was used. 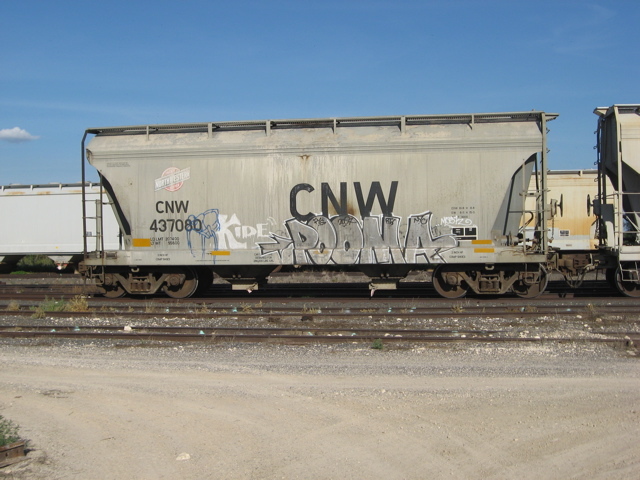 The GN car below received a wash of just dull black. I work between a jar of wash and a bottle of paint. When I need more weathering I dip my brush into the paint bottle, then the wash jar. If it looks too dark I immediately come back with more wash. I wick up too much wash with a dry brush. I start with the bottom of the car to see how the color of that particular car weathers. When the bottom of the car is dry I set the car on its wheels and do the ends, then the sides, last the roof or deck. When doing the car sides I leave the car on its side until the wash pretty much dries. If the car is set upright while the wash is still wet, gravity will pull the wash to the car bottom sill. So leave the side horizontal unless you want the bottom portion of the car to be really weathered. 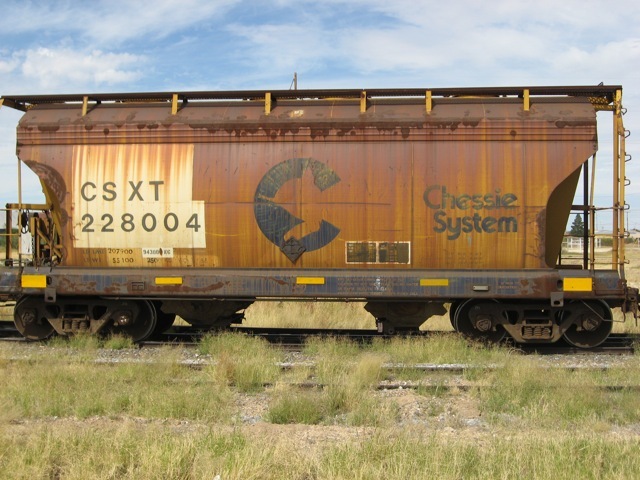 Weathering is an art. The more you do, the better you get at it. Years ago, weathering a car caused me great concern that I might ruin the car. I’ve had to go back and re-weather a car a few times, but I have yet to ruin a car by weathering it. My model railroad is set in 1990 so I consider how many years since the car has been built or repainted. A car built or repainted in 1988 will get only light weathering while a car built in the 1970’s will get heavier weathering. 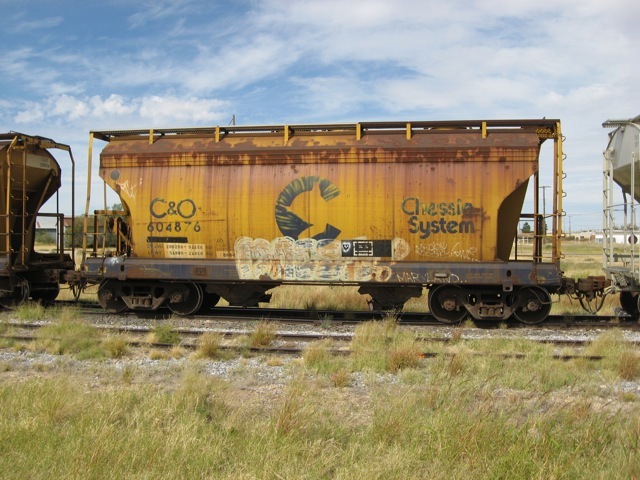 I also try to find photos of the car taken around 1990, not always possible, to see how the car weathered in real life. 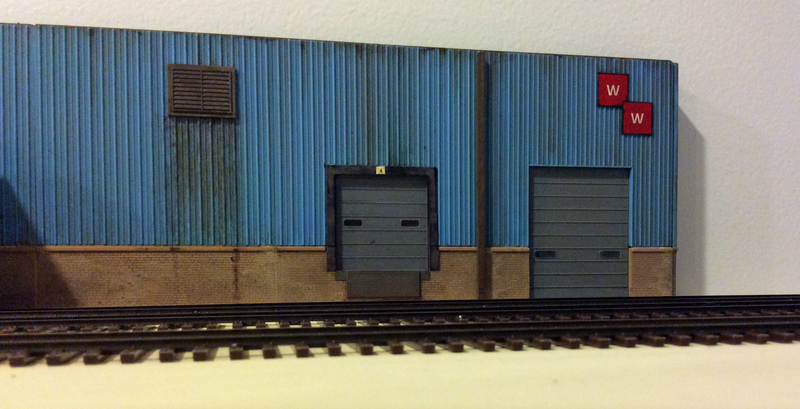 I then try to approximate the weathering on my model. Looking at prototype photos is the best guide. 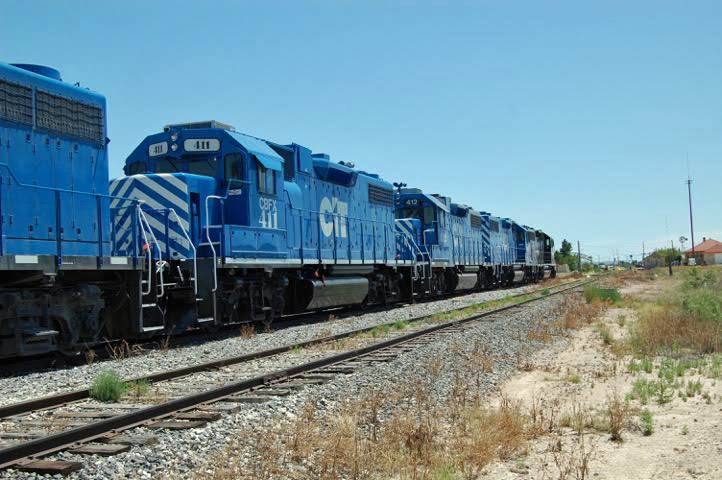 Here are a couple of recent pictures by a friend of mine who is a prolific modern railroad photographer. 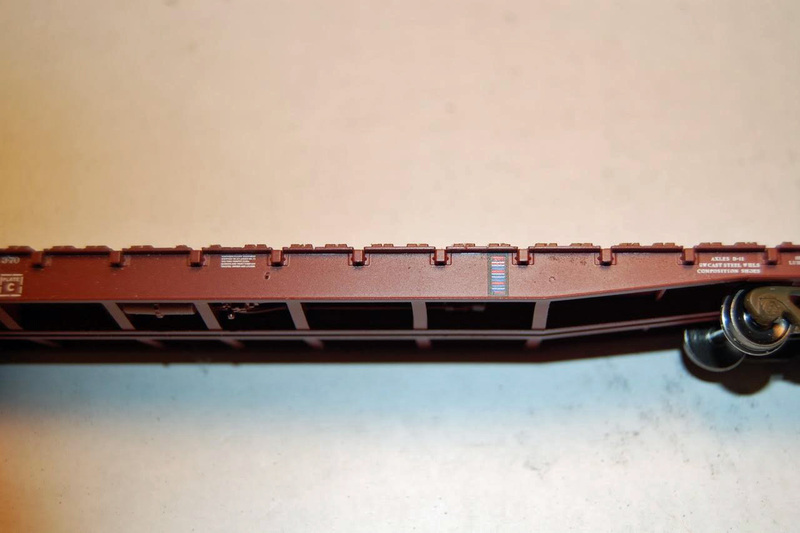 Weathering the decks of flat cars is so worth it and has the potential to almost become an eye-catching item on your layout.